Some Verizon Wireless customers were unable to make calls on their phones Friday in San Diego and throughout Southern California, and company officials said they were working to resolve the problem. SAN DIEGO (CNS) - Some Verizon Wireless customers were unable to make calls on their phones Friday in San Diego and throughout Southern California. 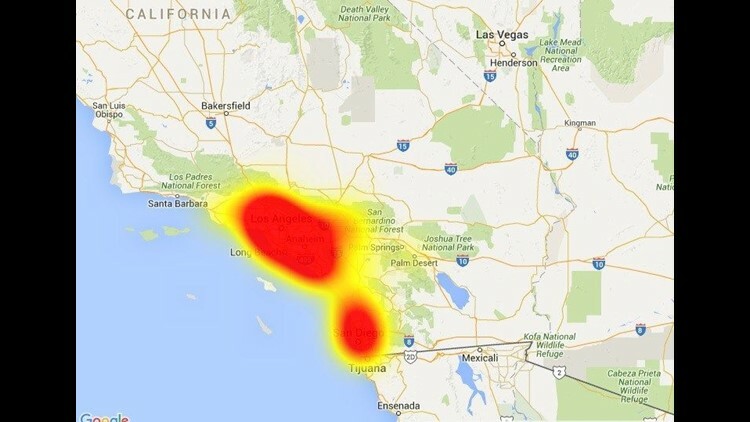 The outage began around 1 p.m. and extended from Santa Barbara south to San Diego, including Los Angeles, Orange and Ventura counties, along with parts of the Inland Empire, according to the website DownDetector.com. "Earlier today, Verizon Wireless experienced a service disruption affecting voice service in parts of Los Angeles and San Diego and surrounding communities," company spokeswoman Heidi Flato said in an emailed statement. "Technicians worked quickly to resolve the issue and service was fully restored at 5:38 p.m. this evening. We apologize for any inconvenience this may have caused." Flato did not specify a cause or a number of affected customers.